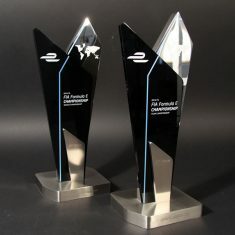 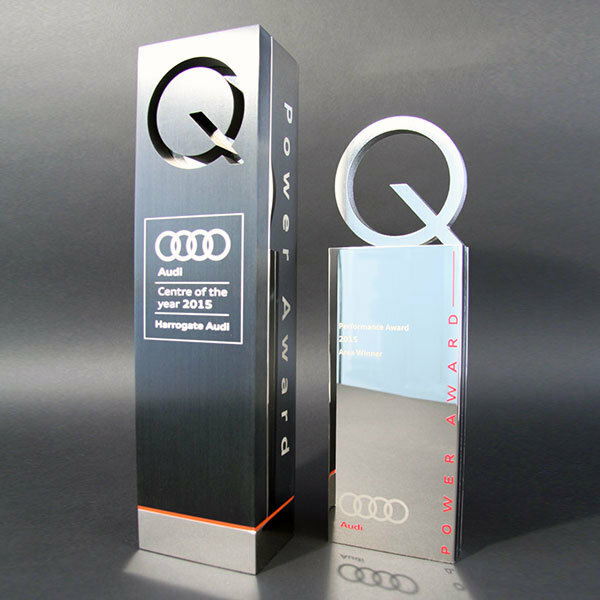 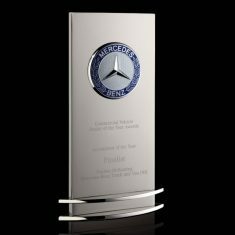 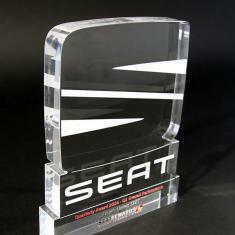 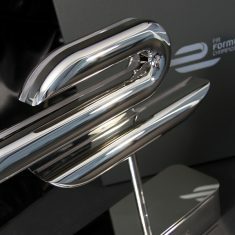 The dealership awards, known as the Audi Q trophies, are manufactured as a half cylinder in solid aluminium and finished in a combination of brushed and mirror finish nickel plate. 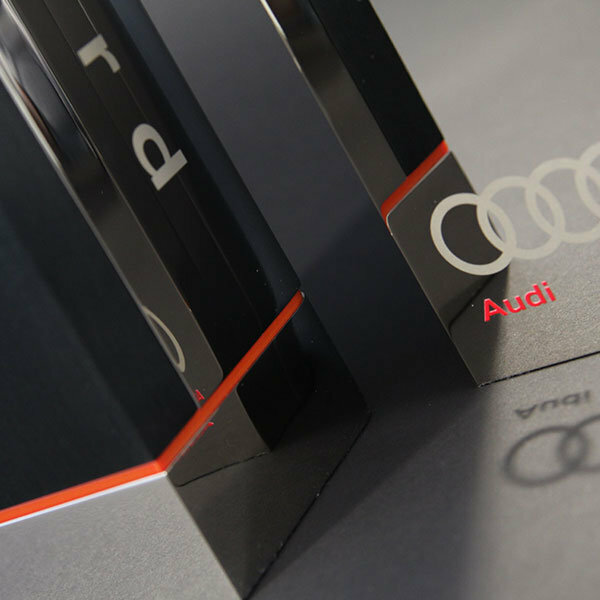 The inscriptions are laser engraved, whilst the contrasting red graphics are digitally printed. 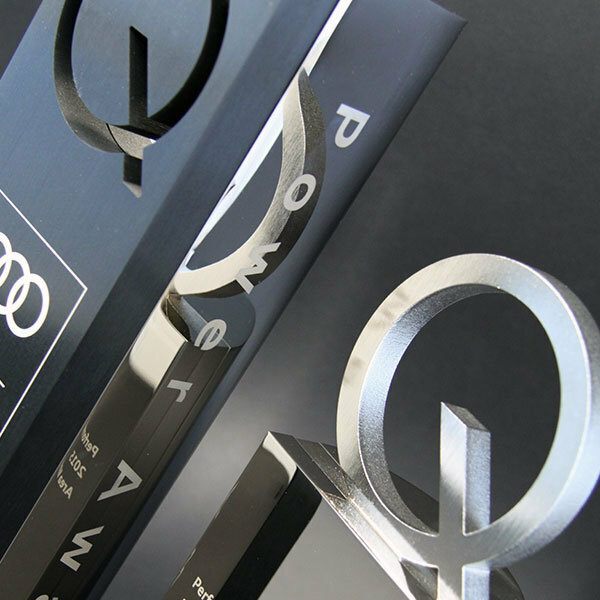 The top performing Centre of the Year award is suitably differentiated: the pierced ‘Q’ honed out of the anodised and polished nickel plated aluminium. 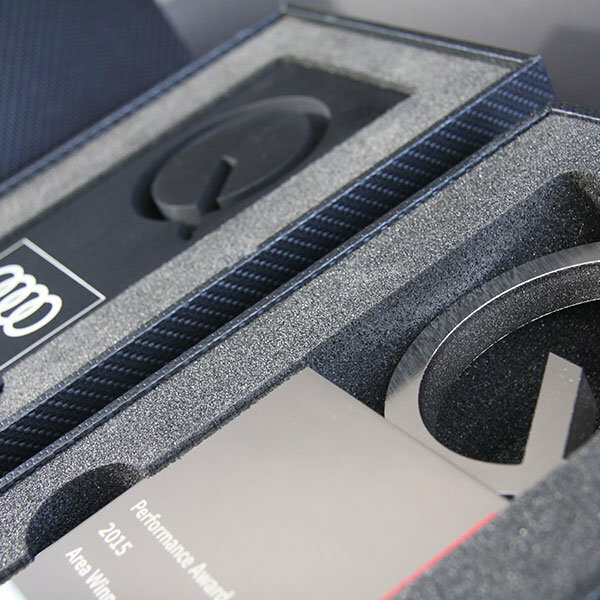 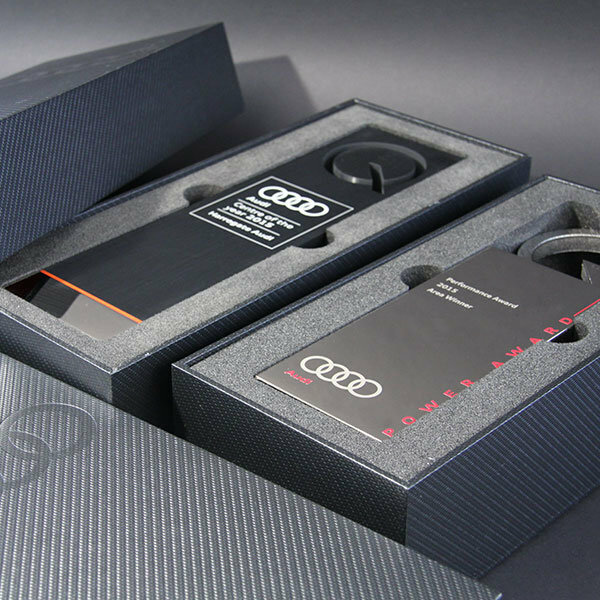 Each award was supplied in a carbon-fibre effect presentation box, blind embossed with the Audi logo Ð the final, exclusive touch.